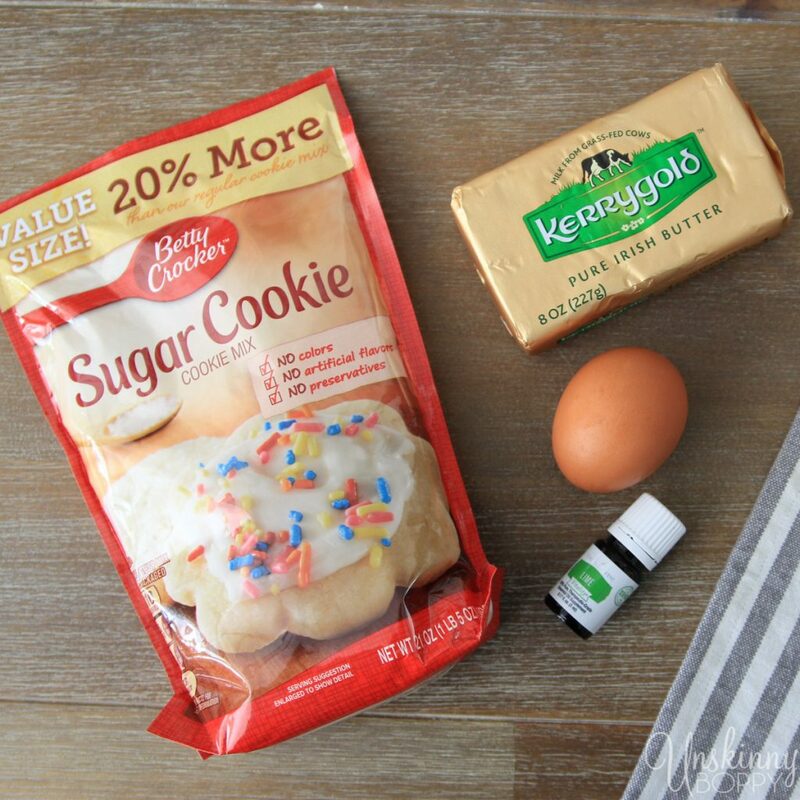 Did you guys know you can use essential oils in recipes? 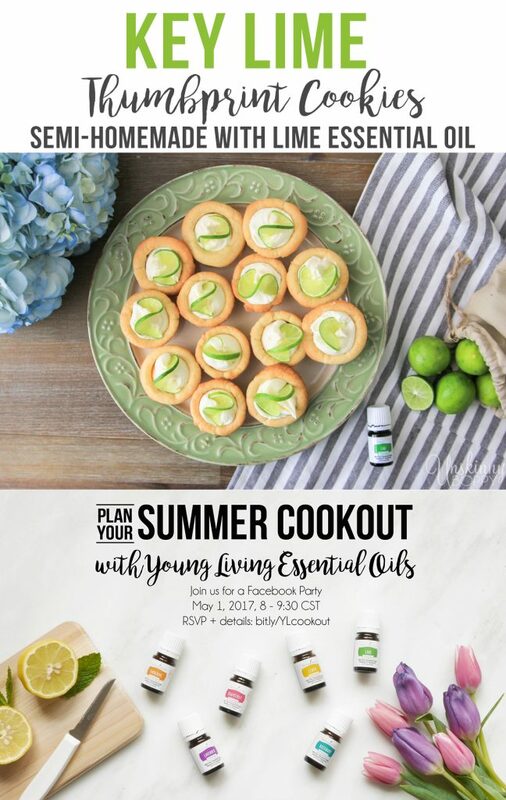 I had no idea you could cook with essential oils until I discovered Young Living a few years back. I always assumed they were just for the smell-good factor but there is so much more to them than that. 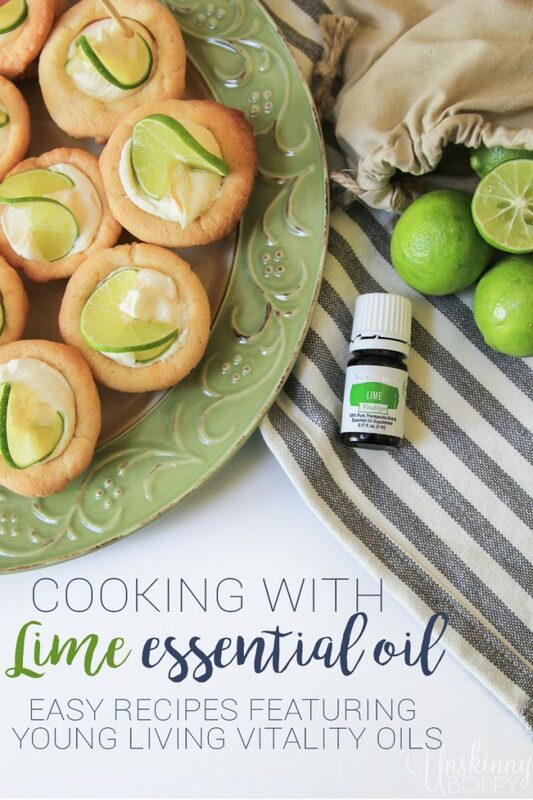 Here is the biggest advantage to cooking with essential oils- they give your food a flavor kick that regular extracts cannot provide. These little bottles contain some potent stuff. If you do plan to cook with them, make sure you’re using 100% pure, therapeutic grade oils that are safe for ingestion. Don’t just run down to Walmart and pick up any old essential oil because some of them are NOT safe to eat (or drink). 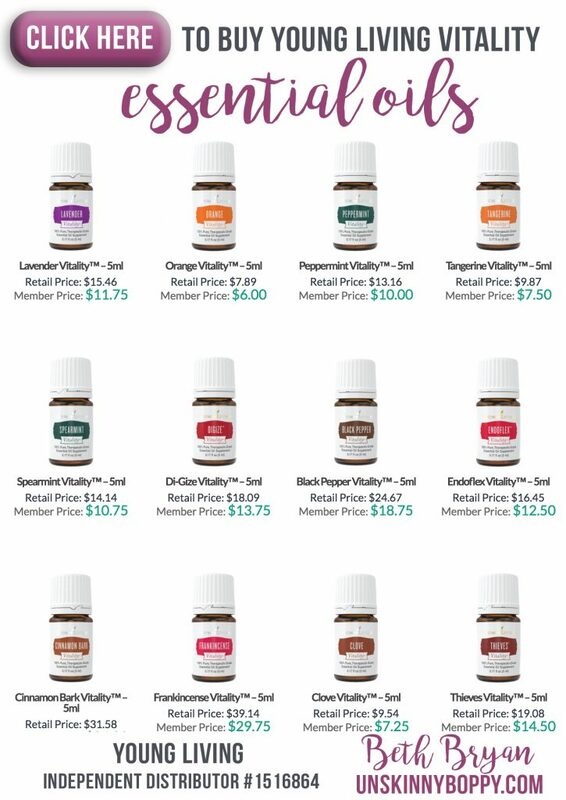 Thankfully, Young Living has made it easy on us to know exactly which of their essential oils are safe for ingestion by creating their new Vitality line with the white labels. This is exactly the same oil as before, but with a different label so you know for sure that the oil inside is safe to consume. I’m so glad they made this change so there is no doubt about which ones are safe and which are not. 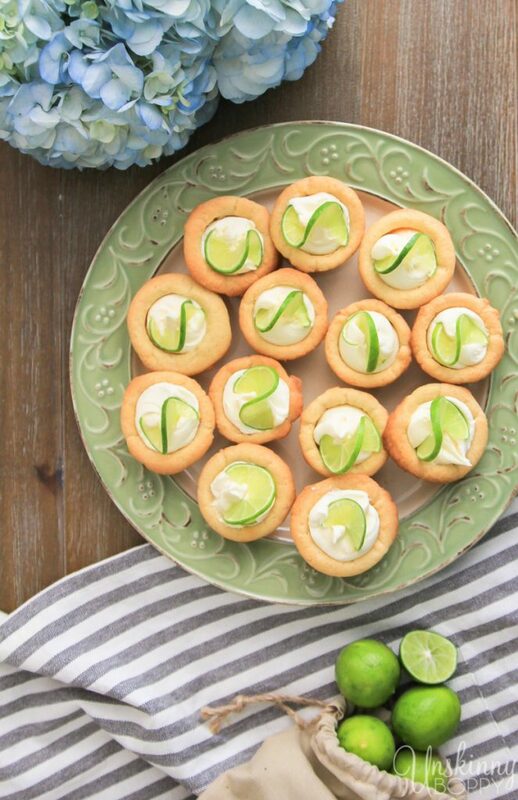 Nothing tastes better during the summer than a sweet citrus cookie, right? 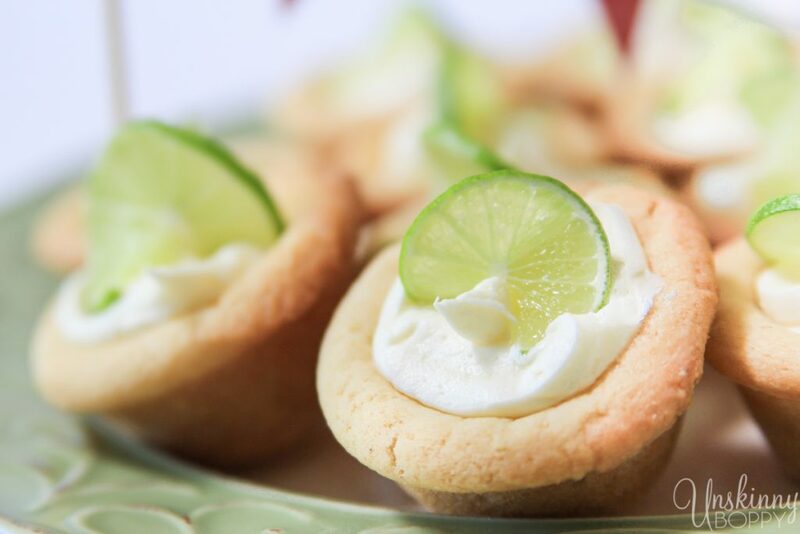 I decided to make Key Lime Thumbprint Cookies, which are like half sugar cookie, half key lime pie and 100% AMAZING. Here is a quick video showing you how to make these! 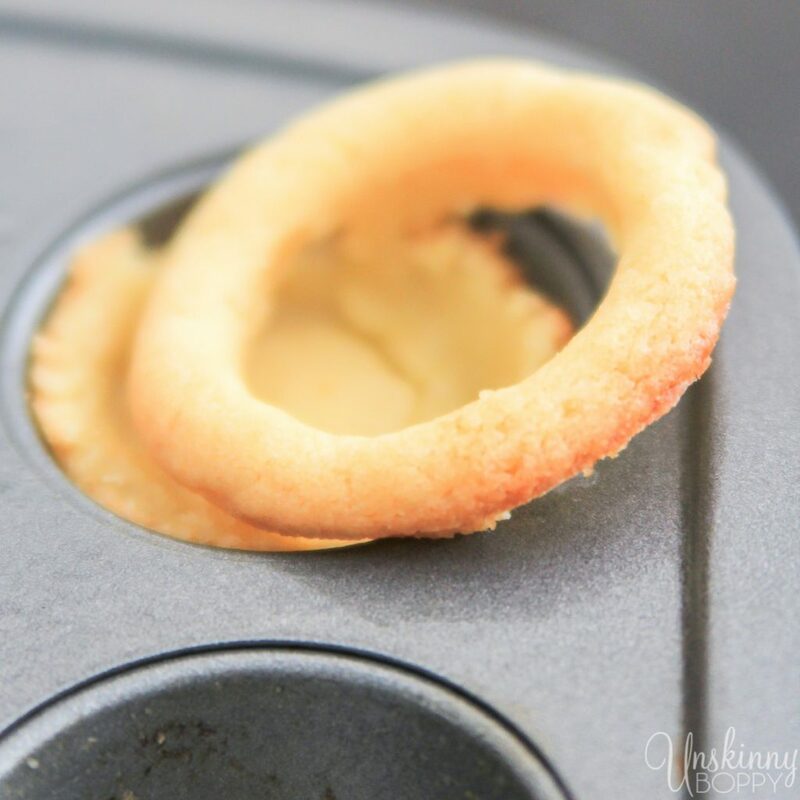 Since I’m all about some semi-homemade stuff right now, I came up with this easy recipe made with store-bought sugar cookie mix to save time and effort. 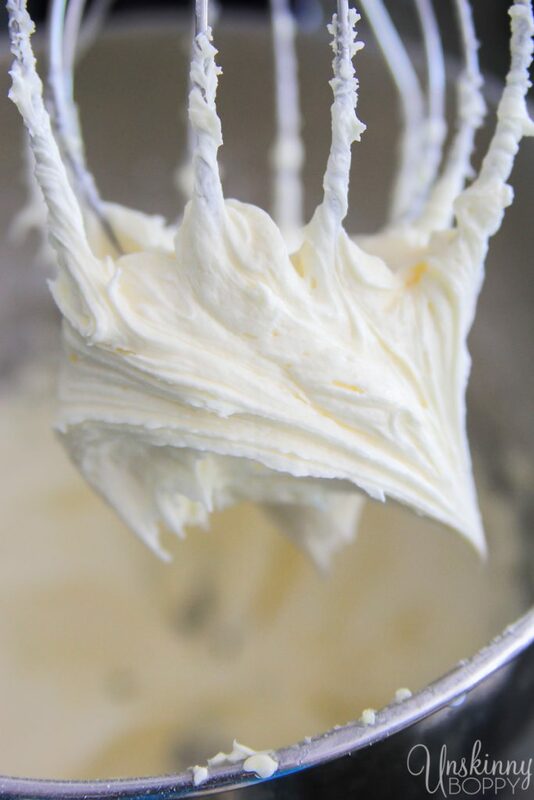 Blend all ingredients on high speed until thick and creamy. Here are a few visuals to help you see how I made these. I took a rounded Tbsp of dough and dropped them into greased mini-muffin tins, then pressed them down using my old Pampered chef tart shaper thingie. I baked them until they just started turning golden brown around the edges then removed from oven. 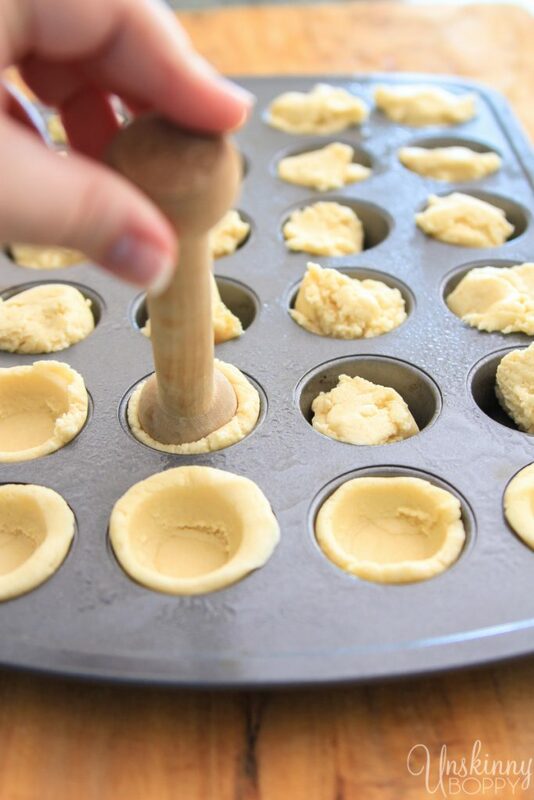 They will have risen in the mini-muffin tins so you’ll have to press them back down again with the tart shaper. You need to work quickly here because you do not want these to cool inside the pan or you’ll never get them out in one piece. 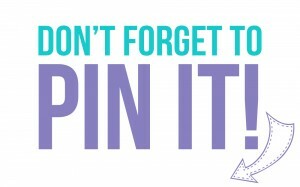 Press, wiggle and try to pop the cookie out on the end of the rounded wooden thing. Put them on a cooling rack. If you let them cool inside the muffin tin too long they will break apart and never come out in one piece. I’m not complaining about a few broken pieces because that means I get to eat all the ugly ones, but you are going for a thumbprint, not a donut. 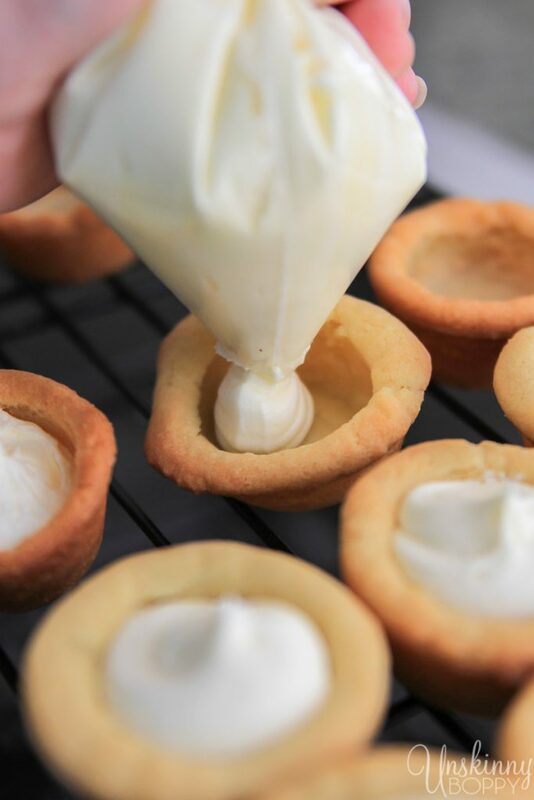 As the cookies are cooling down, whip up your icing real quick. This recipe whips up really thick, so use a little bit of milk to thin it down so you can pipe it easily. I used about 1-2 Tbsp but you might need less. Transfer icing into a gallon freezer bag and snip the end off of one corner. 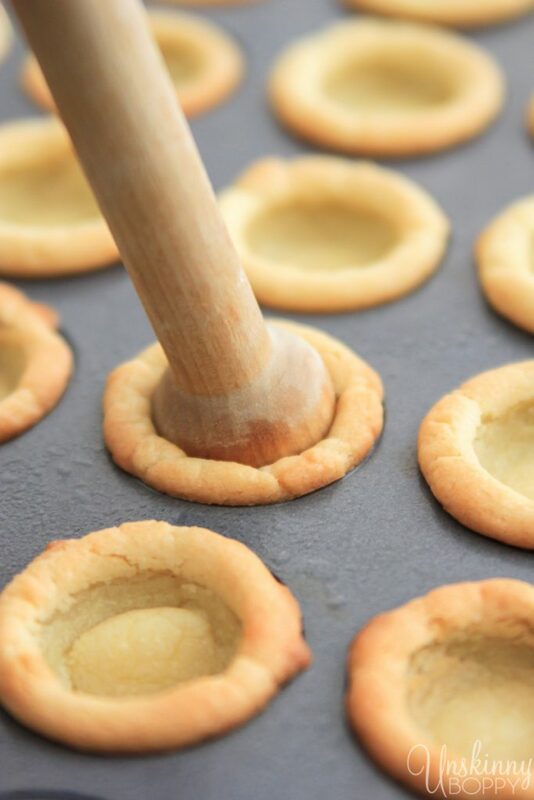 Use this to pipe the filling inside each cookie. This recipe makes just enough to fill about 24 cookies, so you might need to make more if you make a bigger batch. 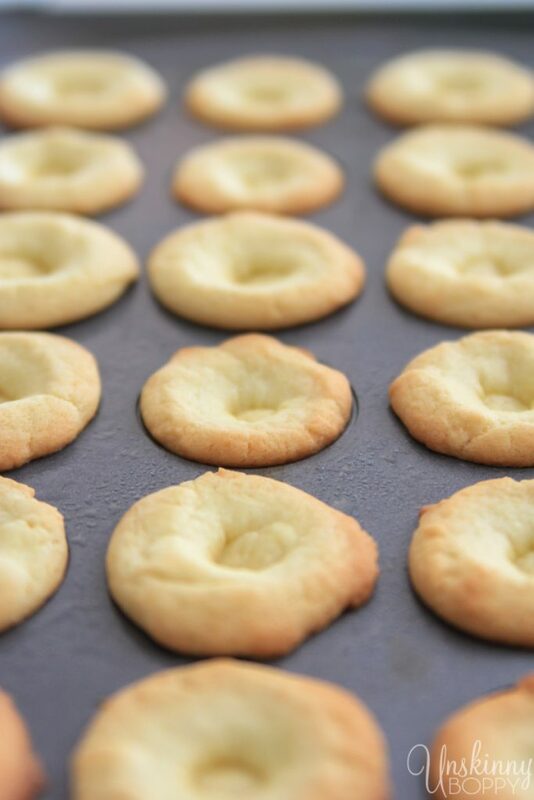 And here’s the finished result… These cookies, y’all. AMAZING. I thinly sliced a few key limes and twisted the slices on top so there was no doubt what flavor these were. They were so addictive and delicious. They are super lime-y which I love. 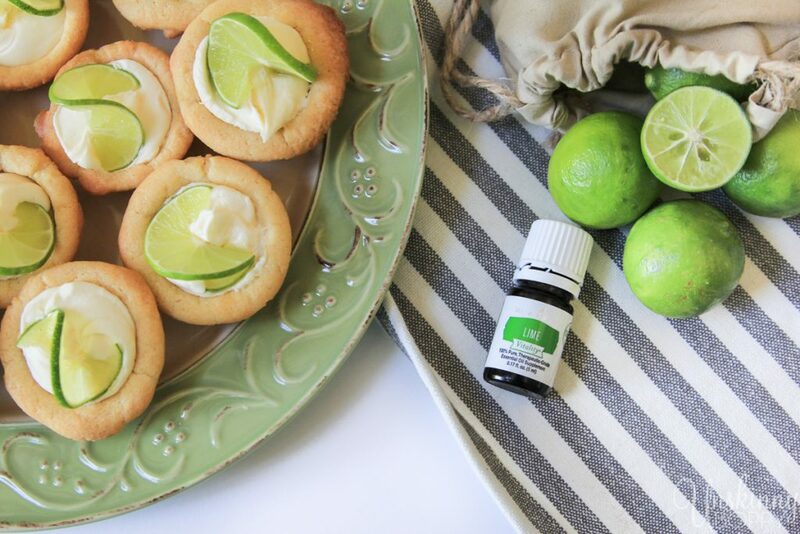 If you’re not a fan of lime, you could easily substitute orange, lemon, or tangerine! Don’t be scared to get creative. 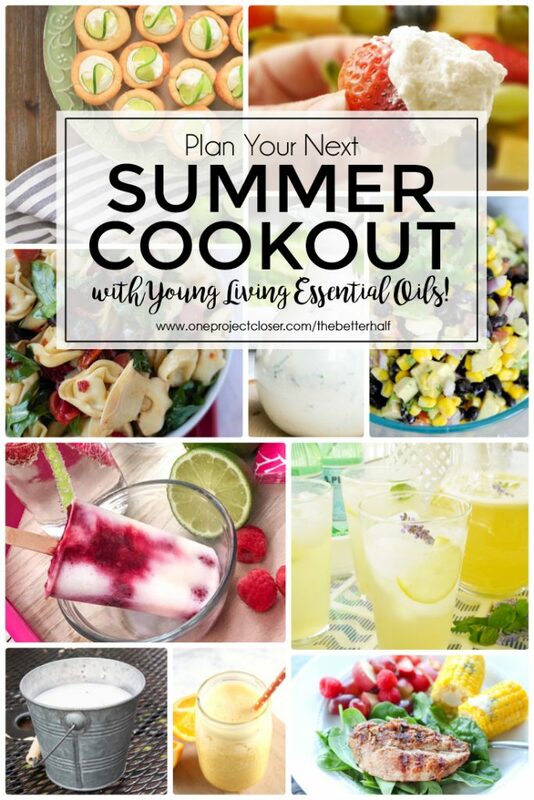 While you’re here, be sure to check out all the other items on the Summer Barbecue menu featuring Young Living Vitality essential oils!